You have found yourself on the website of an artisan bakery located in the Sugarloaf valley of Northeast Pennsylvania. At Sugar & Loaf we specialize in using wholesome and quality ingredients sourced locally as much as possible. 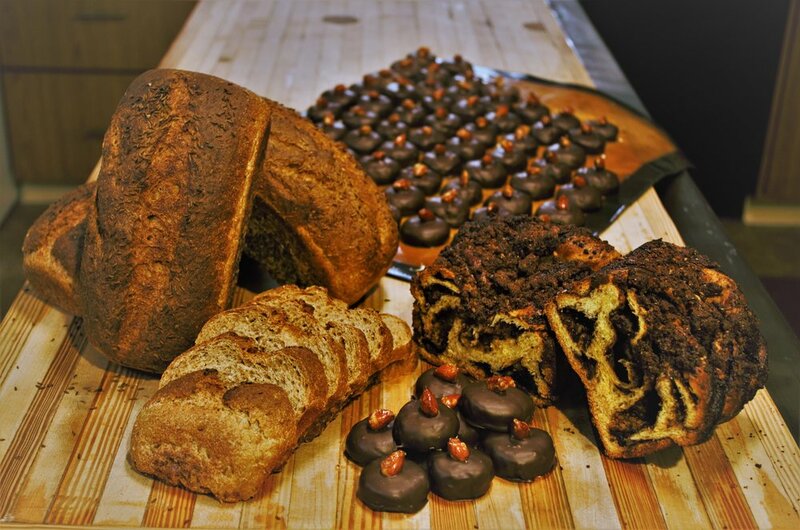 Our goal is to provide baked goods that satisfy every aspect of the palate. When you eat something from Sugar & Loaf we want it to please the eyes, delight the olfactory, enthrall the taste buds, and satisfy the body. At this time we do not have a store front with regular hours. Wondering how to get some of our products? We make up for a lack of store front with an array of possibilities. 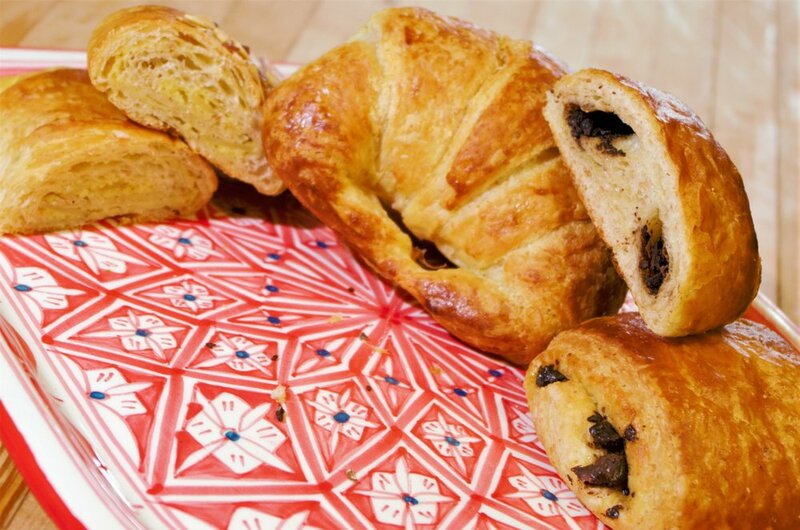 Every Sunday we welcome you to pick up your order placed off of the Menu Du Month directly at the bakery. Special orders can be picked up anytime at the bakery and there will be special menus and pick up days for Holiday Festivities. Farm markets are a great way to not only get our products but also to procure other wonderful locally produced goods. Check out our Market Days to find out where will be selling at on certain days of the week. Looking for not only our delicious baked goods but also a fun day out. Check out the list of events we will be selling at, or taking part in. These are a great way to not only enjoy our products but also Break Bread with us and your neighbors. We also bake some fabulous cakes for any occasion be it weddings, birthdays, graduation, or maybe you just want a cake! With an emphasis on flavor, we strive to make our cakes taste the best they can before we even bother to decorate them. In other words Let Them Eat Cake! 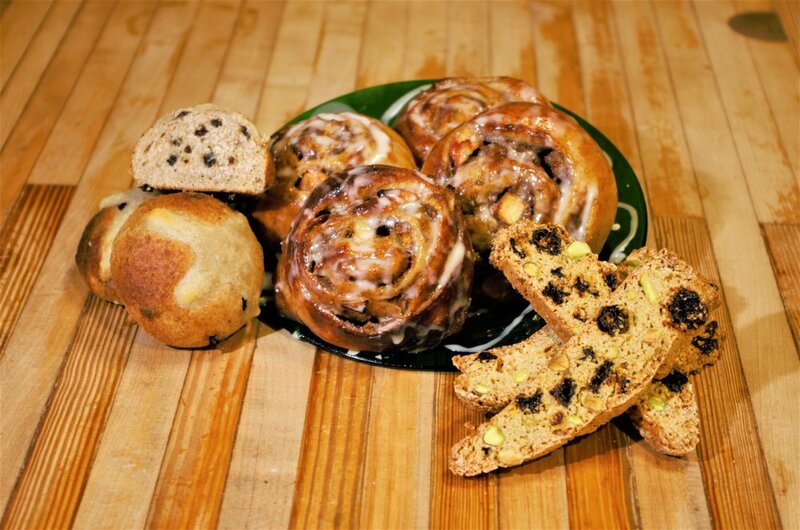 Some of the products we specialize in are artisan breads, pastries, and cakes such as our Sugarloaf sourdough, English muffins, bagels, croissants, scones, cookies, and the list goes on. We hope you can find something you like! 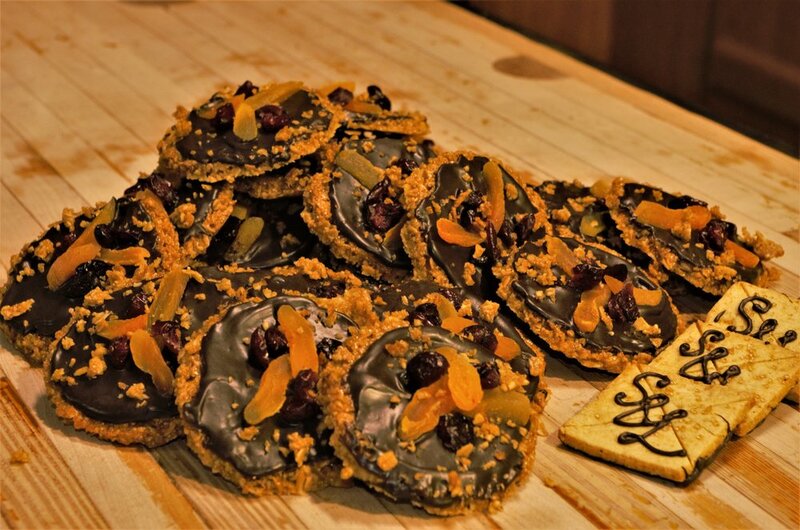 Every baked good we produce we see as an piece of artwork that plays on all the senses, fulfills all the needs, and satisfies the desires of the consumer. Not just flavor but touch, sight, smell, and even sound as well are important. 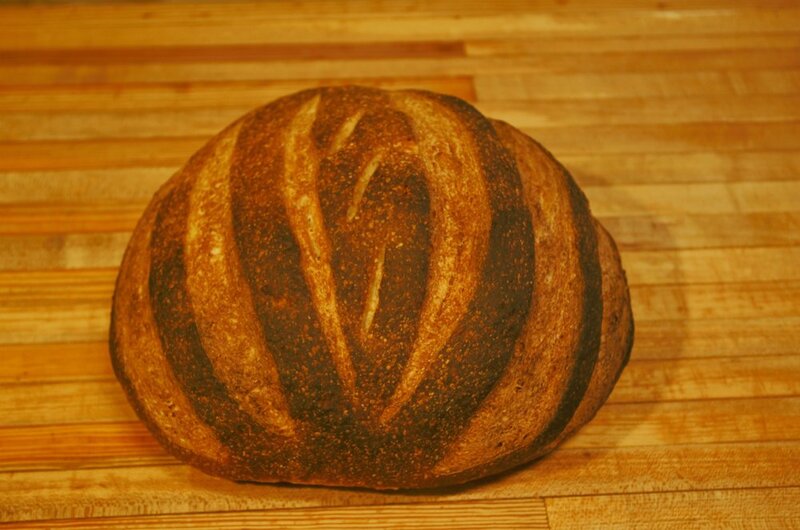 A loaf of bread should will have a nice deep hue, with a heady wheaty aroma, with a crusty feel, and crackles when it first comes out of oven. A tradition as old as bread itself, when you make the person next to you something more. A chance to explore the hard work, creativity, and dedication of your neighbors. Sugarloaf native, progeny of Phillip Pecora and the Sugarloaf valley. 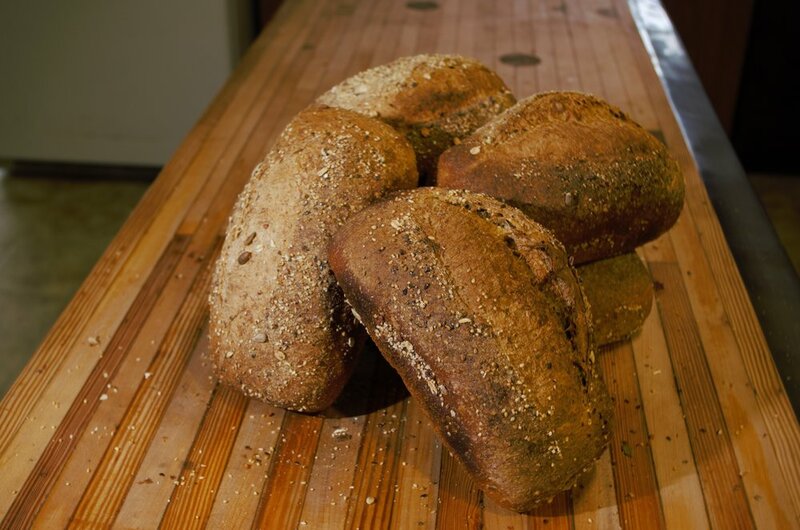 Born of artisan flour, water from underground aquifers, and "Saccharomyces exiguus" (wild yeast present in the air). Pepé is passionate about their hometown and loves to meet new people. They are present in almost all of Sugar & Loafs bread and lend numerous benefits ranging from flavor, to nutritional, and shelf life.